We ensure our professional, caring and experienced team members will provide the best veterinary services for our clients. We care about our customers and take the time to get to know you and your pets, to give the best possible care when your pet needs it the most. VetMed continues to challenge and undertake new ideas and innovative veterinary services and procedures, We offer leading veterinary procedures like Key Hole Surgery, Ultrasonography and Radiology, Advanced Dentistry including Dental radiology. The VetMed Team includes highly trained Veterinary Surgeons with first class education that are continually striving to be the best in their field. Our Boarding facilities are a holiday away from home for your pets. We have an in house nurse, who lives at our Randwick premises, to ensure overnight visitors have the finest care. The Grooming facilities offer everything from basic maintenance clips to breed specific clips. We also offer regular bathing with a mani/pedi to make your dog feel extra special. The VetMed vets, nurses and staff, are all pet owners and true animal lovers who have a passion for the animal care industry. John Roy Stewart bought the original site at 15-17 Botany Street. Its primary use was as a market garden. His family has been Veterinary Surgeons in Australia since 1886. The Stewart family were the drivers of setting up the Veterinary Science Faculty at Sydney University. They also set up the first Pharmaceutical manufacturer in Australia – “Bio” that made some of the first Australian vaccines. Andrew Herron and Marc Simpson bought the business “Randwick Veterinary Hospital” from Max Patton. From these early beginnings it has developed into one of the longest standing and premier Veterinary hospitals in Sydney. 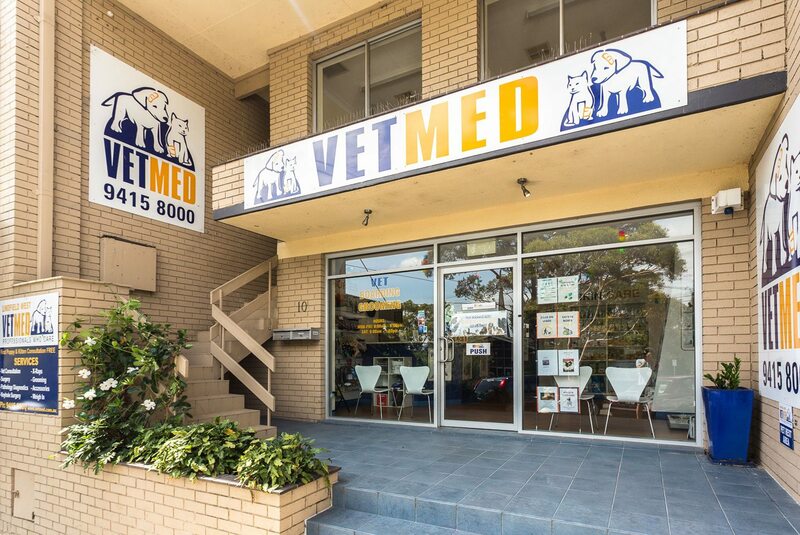 Vetmed Northbridge and Vetmed West Lindfield were established. The aim of these new clinic was to provide a better a broader range of services utilixing the experience of multiple veterinarians and para veterinary professionals and enabling more advanced equipment and techniques to be performed at a more affordable and accessible General Practitioner Level. 2009: We're on the move! Moved Vetmed Randwick from original site at Botany Street to current site. The old site was becoming very run down having served for over 100 Years. The new site was chosen because of its central location, ample parking and ability to completely modernise the premises thus enabling state of the act facilities. We pride ourselves on a very high level of Veterinary Training an expertize. Recent modern improvements include Laparoscopic surgery, Digital radiology including dental, as well as all the other modern facilities.